An oft-repeated piece of advice for writers is “Write what you know.” That advice, strictly followed, could result in boring books. There might be a few experiences in my life, maybe a couple of people I’ve known, that can be fictionalized and sensationalized enough to warrant being the catalyst for a novel. By and large, though, my imagination is sparked by things I don’t know. I often develop a character or plot because of something that intrigues me that I don’t know enough about. And off I go, pursuing adventures in research. Research can be one of the best parts of writing. After all, you get to read books and go to movies. You can travel, getting ideas for unusual settings. You may meet fascinating people who tell you stories that enhance and broaden your book. Learning one new thing can open doors to other facts and ideas that you never considered, and off you go again. More adventures in research. One book I wrote, As the Crow Flies, takes places in Edinburgh, Scotland, and one of the characters is a biologist who is studying the migratory patterns of whooper swans—which I learned is pronounced “hooper,” not “whooper”—for his doctorate. Thanks to the wonders of the internet, and especially Google maps and their street views, I was able to convincingly create the city of Edinburgh for my characters to live in; and following the swans’ migrations led to unexpected scenes and character development. 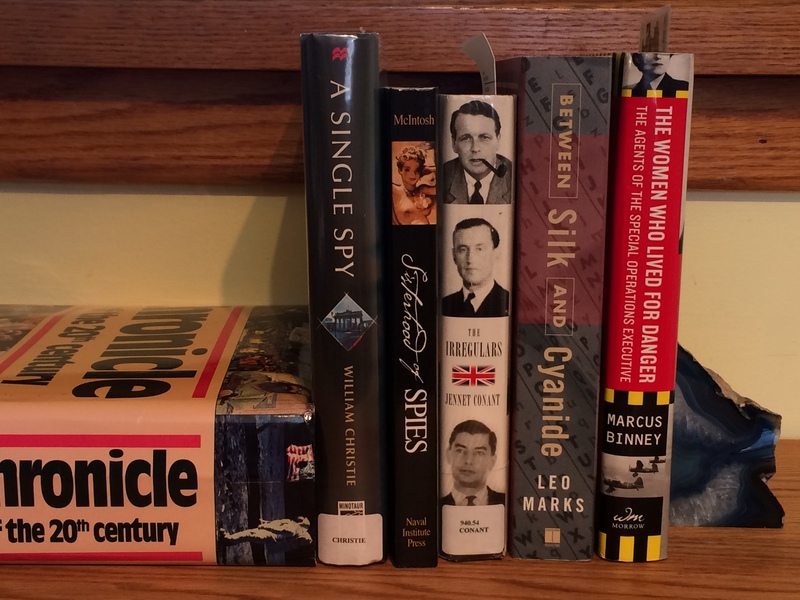 For my current book, set in the early 1950s with a main character who worked for the OSS during World War II, I am building a research library. 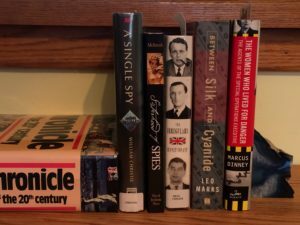 Along with nonfiction titles, it includes novels, such as those by John Le Carré, that give me a better feel for the life of a spy, how a spy thinks, how she survives. I am also researching the culture of the early ’50s—what people wore and ate and drank and did for fun. So, don’t limit yourself to “what you know.” And don’t let the demands of research intimidate you. If you’ve always wondered what it was like to live in ancient China, or to defy the Nazis in the Netherlands, or what might happen if (when?) the Yellowstone supervolcano erupts, find out more and see if there’s a story there. The more you research, the greater the chance you will find the perfect character, or plot twist, or conflict that will make your book exceptional. Go ahead. Treat yourself to some adventures in research.